MOSCOW — After waging war on Islamist militants within its borders for decades, Russia now faces the prospect of such extremism along its southern frontier in Central Asia. 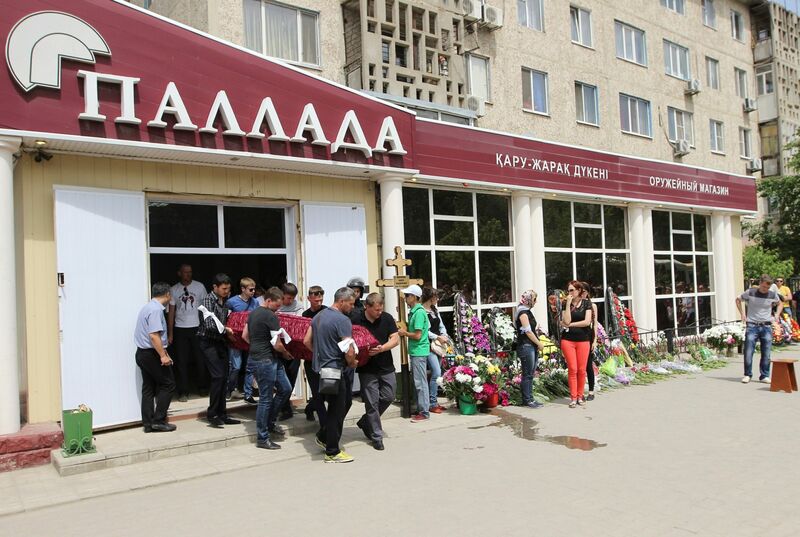 On June 5, radicals robbed two gun stores and stormed a military unit in the city of Aktobe, Kazakhstan, killing eight and injuring dozens in the first attack of such a scale in the oil-rich country. According to Arkady Dubnov of the Carnegie Moscow Center think tank, this latest in a series of incidents highlights the risk that a "second front of jihad" could emanate from Kazakhstan and other nations that once made up the Soviet Union's Central Asian republics — Tajikistan, Uzbekistan, Turkmenistan and Kyrgyzstan. While violence in the mostly-Muslim region of 85 million has not reached anything close to the levels seen in the Russian republics of Chechnya and Dagestan, analysts worry about the future. 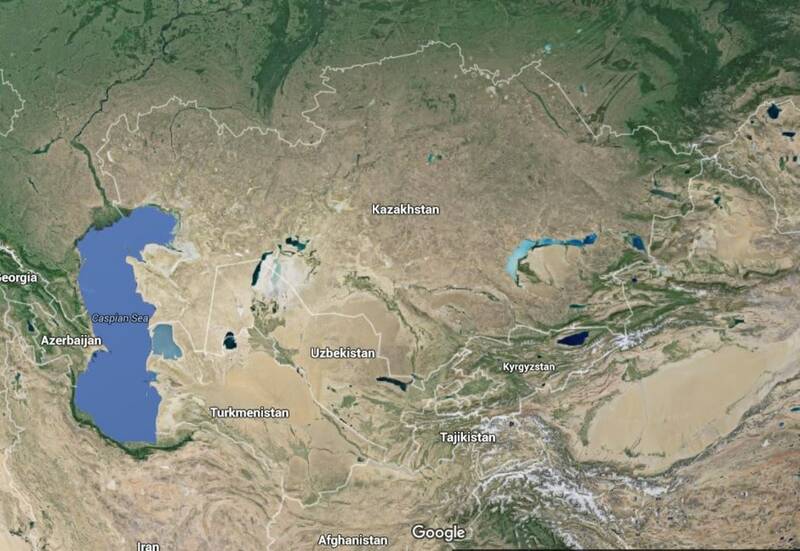 "The long-term threat of Central Asian jihad is quite real," Dubnov said. Up to 2,000 Central Asians are fighting for ISIS in Syria and Iraq, according to U.S. intelligence sources who spoke to NBC News on condition of anonymity. The real number of jihad supporters is likely much higher, Dubnov said. "For every [Central Asian] fighter in ISIS, there may be up to a dozen men in a sleeper cell at home and 100 sympathizers," he added. Fighters from Islamist fighting groups such as the Islamic Movement of Uzbekistan (IMU) and Tajik groups Jundullah and Jamaat Ansarullah have crossed the borders into Afghanistan and Pakistan, inflaming active insurgencies there. IMU fighters were affiliated with the Taliban and al Qaeda but more recently pledged allegiance to ISIS. There are an estimated 5,000 to 6,000 IMU militants in Afghanistan, according to a senior Afghan intelligence officer who spoke to NBC News on condition of anonymity because he is not authorized to speak to the media. More than 1,000 Tajik militants area also fighting in Afghanistan, the source added. Experts and officials are carefully watching trends in the mainly poor and authoritarian countries for signs that extremism could destabilize governments across the region. Uzbekistan, Tajikistan and Kyrgyzstan especially face threats from within, according to Nargis Kassenova, a professor at leading Kazakhstan university KIMEP. "The Islamists have a chance of taking power in Tajikistan, where the state is pretty weak," she said. The supreme commander of Tajikistan's riot police last year defected to ISIS, saying it was in protest against oppression of Muslims. Gulmurod Khalimov — who has previously been trained by U.S. instructors in the U.S. — joined the militants with 10 compatriots and pledged in a video statement to bring jihad to his country. Khalimov's defection did not come out of a vacuum, experts said. A history of clan feuds and radical Islamic ideology fueled a civil war in Tajikistan in the 1990s, the most brutal conflict to flare on the ruins of the Soviet Union after the fall of Communism in 1989. Up to 100,000 people were killed and one million more displaced in the war, according to United Nations estimates. Neighboring Uzbekistan, meanwhile, has seen serious crackdowns since the Soviet Union dissolved and it became independent in 1991. In 2005, suppression of what the government said were Islamist extremists — but many locals maintained were peaceful protesters — left between 180 and 1,500 dead. Russia, which has retained close ties with the Central Asian governments, says officially that these matters are not its business. 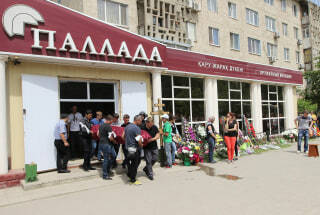 After the June 5 jihadist attack in Kazakhstan, Kremlin spokesman Dmitry Peskov said the problems were the "internal affairs" of that country, according to RIA Novosti. Despite those carefully chosen words, Russia is clearly concerned about the situation in the region — to the point of keeping its biggest foreign military base of 8,000 troops in Tajikistan. "In case of a full-blown Islamist uprising even they will be not enough," Dubnov of Carnegie think tank warned. Radical Islamists in the region are mostly keeping quiet or leaving, for now. But poverty and authoritarianism — conditions that often allow extremism to flourish — are growing in the region, experts say. With the exception of Kazakhstan, all five countries have per capita GDP of between $2,000 and $6,000, according to the International Monetary Fund. Millions of locals are forced to take menial jobs as work migrants in Russia where per capita income averages at $23,000. The countries' leaders are notoriously heavy-handed and have a fondness for cults of personality. Tajik President Emomali Rahmon is praised in official poems, reportedly compared to the sun in meetings with his subjects and enjoys the semi-official title "His Excellency." His late Turkmen counterpart, Saparmurat Niyazov, built 14,000 statues of himself; Niyazov's successor, Gurbanguly Berdimuhamedov, is slowly replacing them with his own posters. The current parliament in Uzbekistan is dominated by Nursultan Nazarbayev's party Nur Otan, which won 81 percent of the vote in the 2012 election. Nazarbayev, who has held power since the 1991 Soviet collapse, was last re-elected in 2011 with 96 percent of the vote. 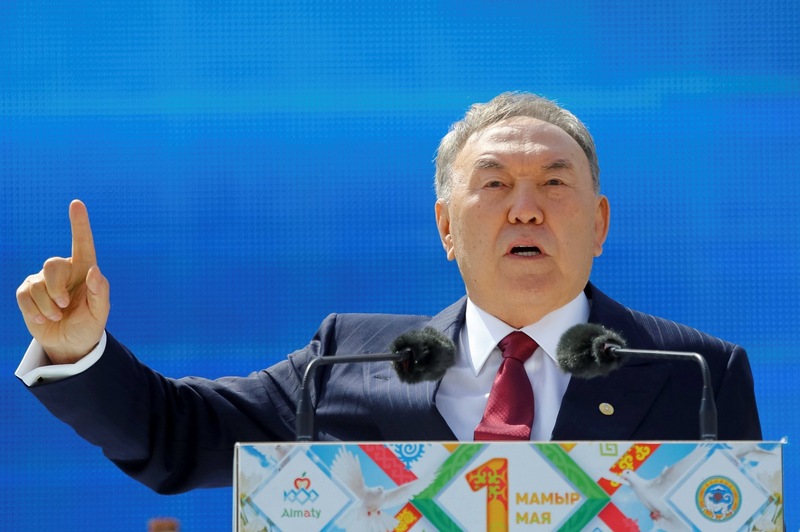 This authoritarianism leaves the Central Asian countries little room for forging individual national identities, leaving Islam as the prime contender for filling the void, experts said. "[Central Asians] embrace Islam as identity because that's the easiest option," Dubnov said. Local regimes, run by former Soviet-era Communist party bosses with no deep explicit religious convictions, are cracking down on Islamic movements as they do with any political opposition, he Dubnov said. In Tajikistan, police have been closing shops that sell hijabs — the Muslim veil — and last year forced 13,000 men to shave their beards. Tajik authorities have also shut down the sole legal Islamic party, all but pushing Muslims into the political underground, said David Lewis, an expert on Central Asia with the University of Exeter. In Uzbekistan, almost 13,000 Muslims have been jailed over the past 25 years for their religious convictions, according to local rights organization, Initiative Group of Independent Human Rights Defenders. The Turkmenistan regime is described by Human Rights Watch as "extremely repressive" with " harsh restrictions on media and religious freedoms." Repression of independent religious activity by local leaders is the main factor that could propel jihadists to power in the region, experts believe. "I'm not sure that governments in the region have the political flexibility to deal effectively with the problem except by relying on their usual methods of coercion and repression, which could backfire," said Lewis. Levels of violent Islamism are rising towards those seen in the Russian republics of Dagestan and Chechnya, according to Kassenova, the professor with KIMEP, who added: "The war on terror is only breeding more terrorists." The foreign ministries of Kazakhstan, Kyrgyzstan, Tajikistan, Turkmenistan and Uzbekistan did not return requests for comment for this story. Басманный суд Москвы санкционировал арест губернатора Кировской области Никиты Белых, обвиняемого в получении взятки в особо крупном размере. Что думают об этой истории прохожие на улицах Кирова?